REFLECT: What was the "mission" Paul had been given? 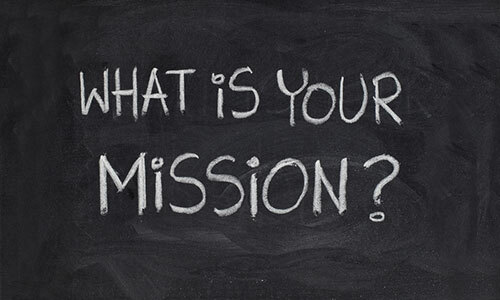 RESPOND: Locate five words in this chapter that describe someone "on a mission." "I, Paul, have been sent on a special mission by the Messiah, Jesus, planned by God himself." Sent, planned, alongside, trusting, focused. I think that these are the first words that jump off the pages of the text at me. Often times, I think that the mission we are on is planned well in advance and God uses us alongside Him in his great plan. We must be full of trust and focused on Him. Regardless of where we are sent, God is in control. Life is much easier this way. Sent, planned, "following the messiah", trusting, and willing. Paul's words speak of his mission throughout the chapter but these words stood out most to me. I know I want to be someone who can be fully used by God to be sent wherever he wants me as scary as that may be. I think God wants us all to have a heart focused on him and trust in him so completely that we are willing to go on whatever mission he has planned for our lives. Because in the end it is God who has the plan and not me. This website has helped me through some tough times by providing a way to connect with God. A community of faith that helps give my life direction by reminding me of my Christian mission that my life is not my own, but a testimony of the power of God. Thanks for the work that it takes to keep the site up and running. Sent, spurring, unflinching, focused, uncompromised. I pray that all of us are able to walk in our missions with words like these. Paul shows such great confidence in his mission. But, I think he longs for the reader to share in that confidence in their own mission. Thank you for continuing to post these faith wods. We have to keep flexing our spiritual muscles if we are to succeed. 1) Verse 1 says that Paul is an apostle "by the will of God." His mission, in all its facets, as an apostle has been commissioned by God. 2) Verse 4 Paul "comforts" with the comfort they had received from God. 3) Verse 9 Paul had to "rely" on God who raises the dead; in his apostolic mission the ultimate power is reliance on God. 4)In verses 15-16 Paul demonstrated a desire to visit the Corinthians, but his superior officer (God) declined. 5) In verse 24, Paul "work" with the Corinthians for their joy. Thanks, for these faith WOD's.